Yes I know yesterday I promised we would be going inside City Hall, well we're taking a wee diversion, we will visit inside next week. 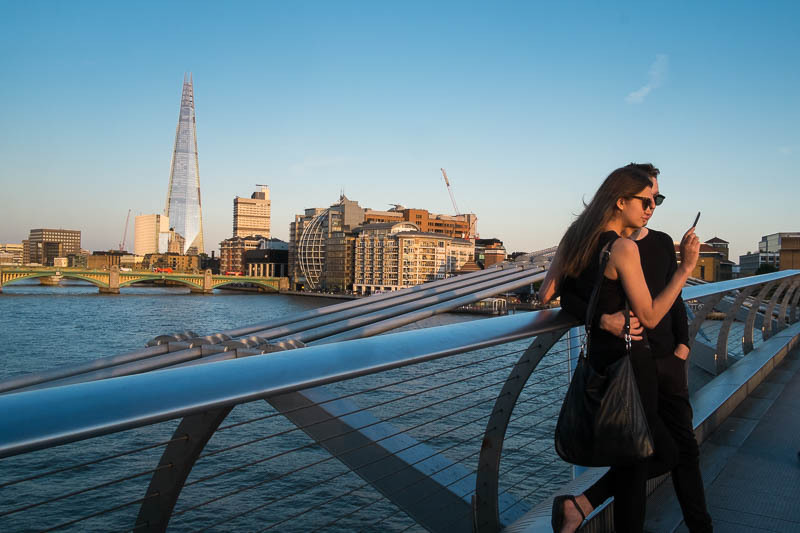 In the meantime another architectural view of London being admired by a couple who are checking it out in their selfie. Ahhh...gorgeous skyline. I'd probably stop there for a photo too. Quite a lot of variety in the skyline, Mo. They look like they are so self-absorbed that they aren't looking at anything but themselves. Narcissus would come in in second place these days.